It’s our most successful fundraiser for the library, but I’m glad the Harvest Dinner is over, it seems to really keep us hopping! Now we have to do our regular work, clear the book sale, get ready for judging our Dia de Los Muertos skulls and enjoy the Halloween parade from the school kids. Whoever thinks library work is boring, hasn’t been to a library lately! Sometime soon we’ll be preparing our wreath for Festival of Trees, then the first week of December is our Silent Auction, our other big fundraiser. The library rocks this time of year! 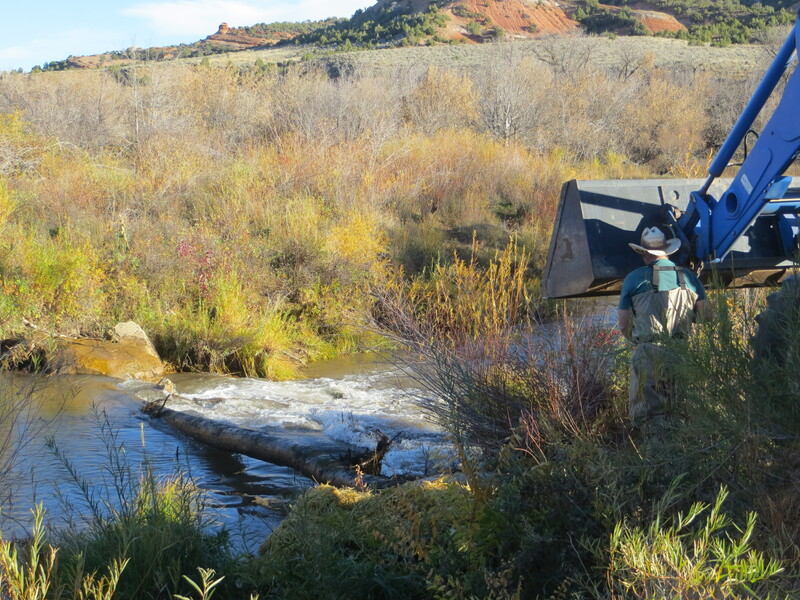 Around here, preparations for winter continue with beautiful weather… Daniel’s been power washing his discbine, getting a season’s worth of dust and chaff and grease off his machine. I helped for a little bit… it takes an entire day to wash it up! The guys pulled the dam log. Read that again. I said dam log not dam* log. 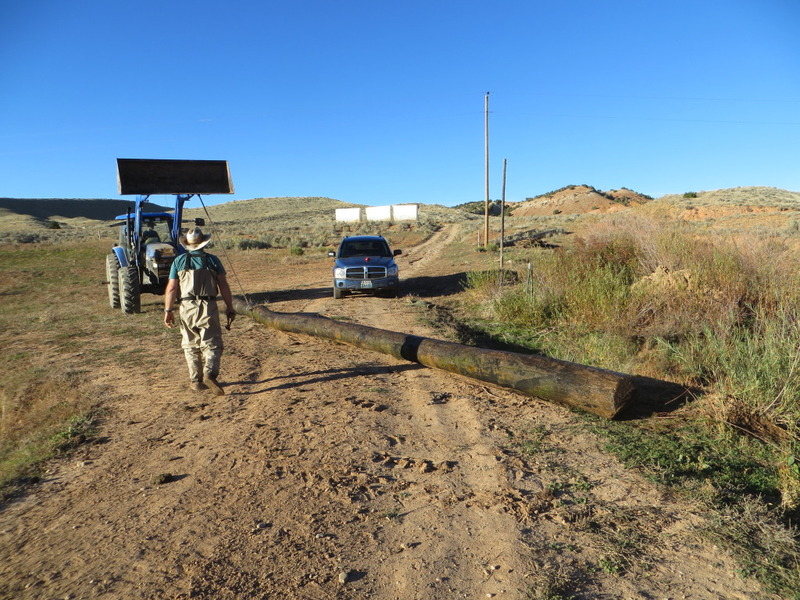 The log holds the upright sticks and straw that forms our irrigation dam. It’s long and heavy and water sogged, so a tractor is the hero of the day. All the sticks and straw have been pulled. 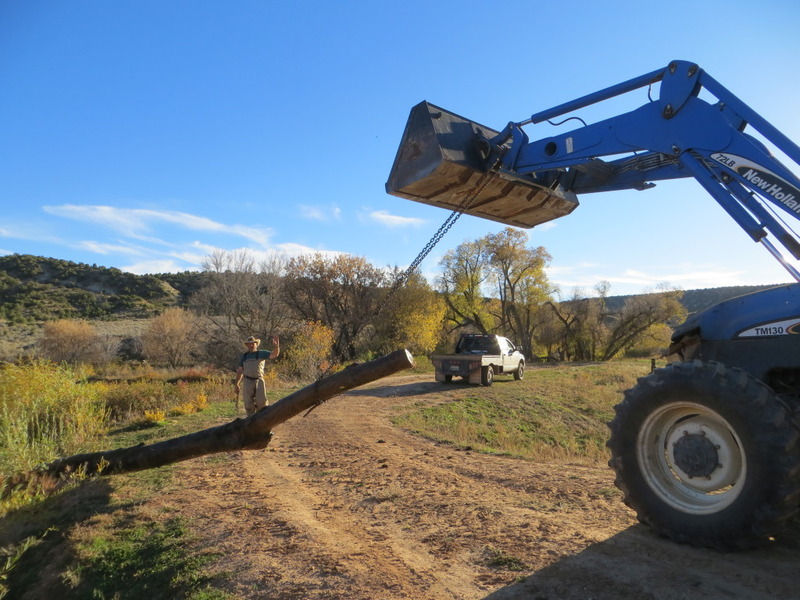 A chain is tied from the tractor bucket around the log… Shove it in reverse! Vernon stops the reverse. 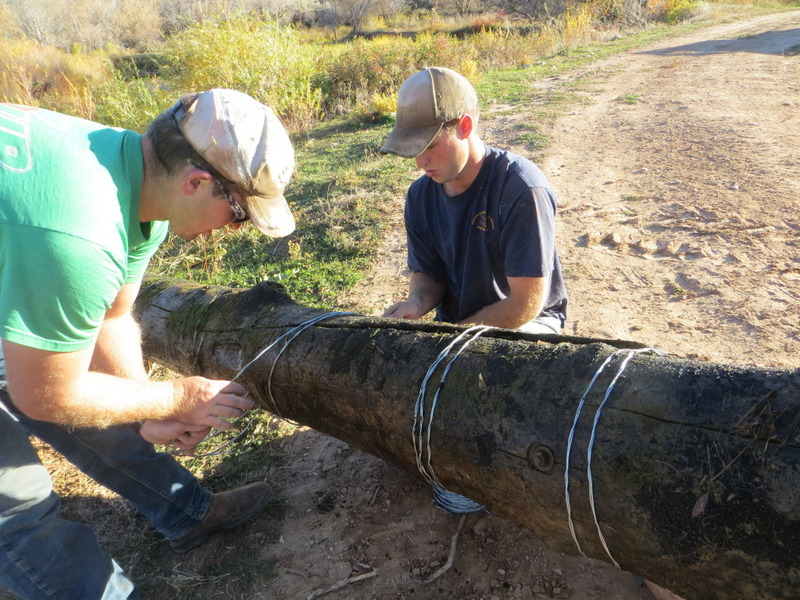 There’s a large crack in the log, so Brandon and Daniel wrap the log with wire to ease some of the stress. They’re working. 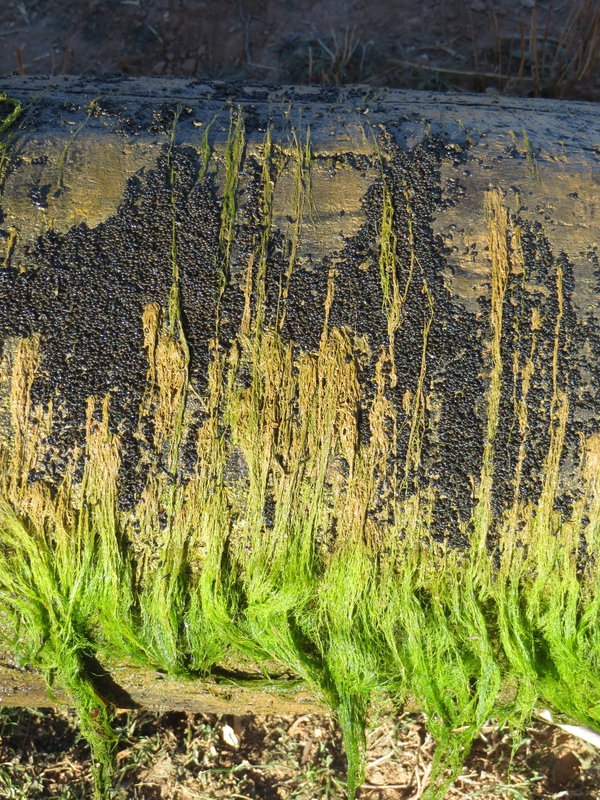 I’m walking around enjoying the brilliant green of the moss… and the bazillion little squiggly critters all over the log! 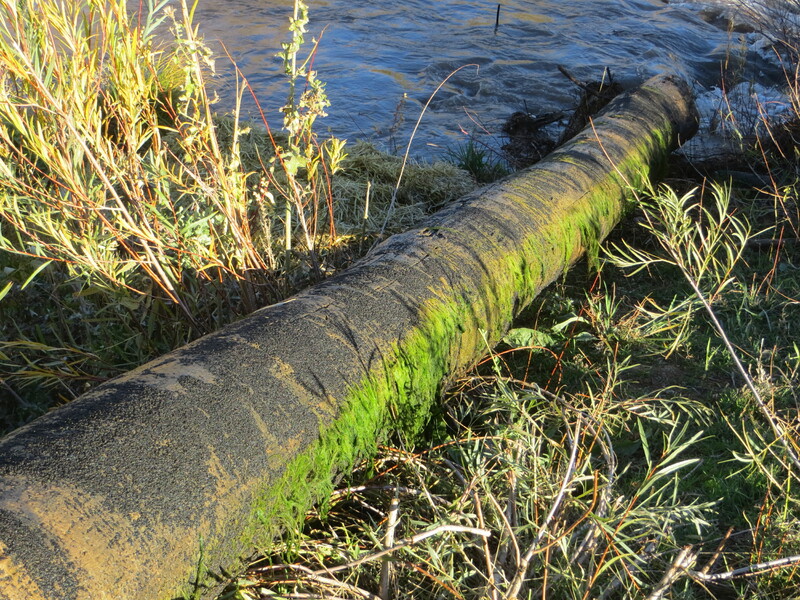 That’s done… and off it goes to be stored out of the water for the winter! Glad I gave them enough room to go around my Durango! One more pre-winter item checked off the list. Fall – BEST time of the year, weather-wise…and a wonderful time to enjoy the holidays/festivals. Sounds like you had another great Harvest Dinner and book sale. The log story was very interesting. Hopefuly, tieing it together with wire with ensure its use for another season next year. Nice photos as usual! I’ve never heard of this procedure although my mom has irrigation rights/ditch on her farm in Colorado. Very interesting! Also, I don’t recall seeing any pictures of your “sleepy” ☺ little town of Ten Sleep. What does it look like?